“Yes,” you can build better and still achieve cost savings by substituting non-combustible decking in projects 4 stories or less. This contractor chose Wally Walls for the exterior structure and interior structural walls and is utilizing wood tji’s and plywood for the decking. 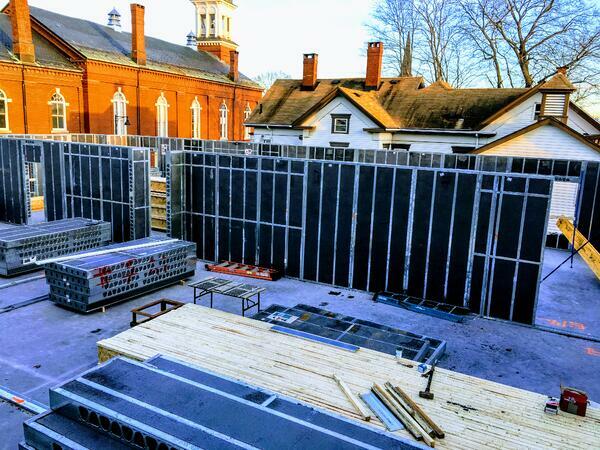 In this way, they get the speed of construction using Wally Walls’ modularly insulated walls and the value of a wood deck system. How do the two integrate - very well! Wally Walls is a conventionally framed insulated wall, ready to receive any type of specified decking. So, all you Type I personalities out there, DON’T STRESS OUT - it does not have to be an “all or nothing” affair. Build Better and take advantage of VE opportunities where you can. What are you building with? Build Better. Build With Wally!